The Angel Inn is of a Tudor origin. Like a number of other Pershore buildings, it is likely to have been constructed using old ship timbers brought down river by boat from the breaker’s yard in Worcester. These timbers are still in evidence, particularly in the bar and restaurant. It has been claimed that salt has been seen oozing from the beams in the lounge. Pershore High Street formerly sat on the main road between London and Worcester, and there onto Wales, and The Angel would have received much custom from travellers and stagecoaches. 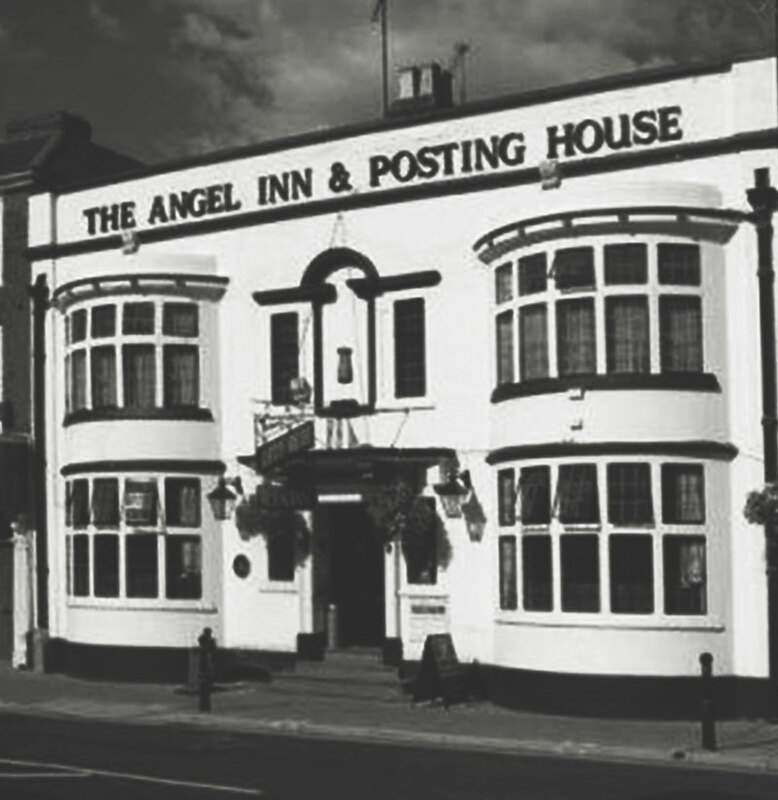 In addition to a coaching inn, the Angel was also a posting house, and coaches carrying mail would have stopped here before it was distributed by post-boys. For a time, it also served as an excise office. 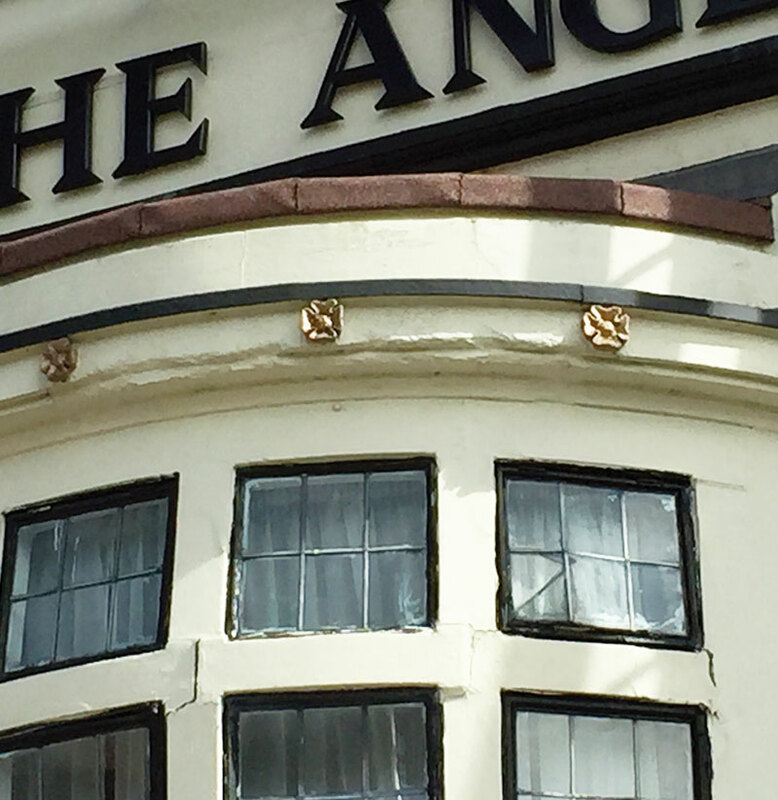 There are numerous stories of ghosts around The Angel. Many have testified to paranormal activities around the building. One such story is of a large man in a naval uniform appearing between two tables in the restaurant. Former proprietor Mr Mendez testified to hearing loud footsteps upstairs despite no guests being in residence. When he and others went to investigate, there was no one there. Some years later, Ros Saunders claimed she saw a large, dark figure standing in a closed-up doorway in our Gin Room. A similar story has a ghostly figure standing near the fireplace in the Lounge. There have also been claims that, on occasion, the sound of children’s laughter and horses’ hooves can be heard down the alley leading to the garden. Having such a long and chequered past means there are a range of interesting historical features and interesting facts. 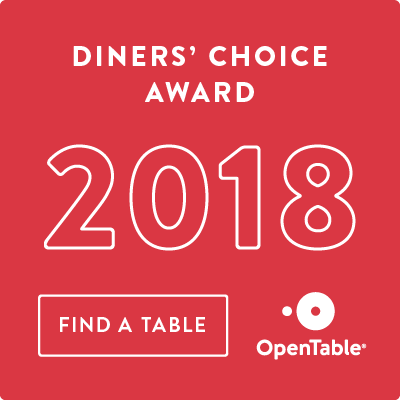 Have a browse through. In the corner of our bar, we recently uncovered the sealed door, this served as the entrance to the ‘Jug and Bottle’ off-license and is visible down our side-road, formerly known as Quay Street. This road was formerly gated. 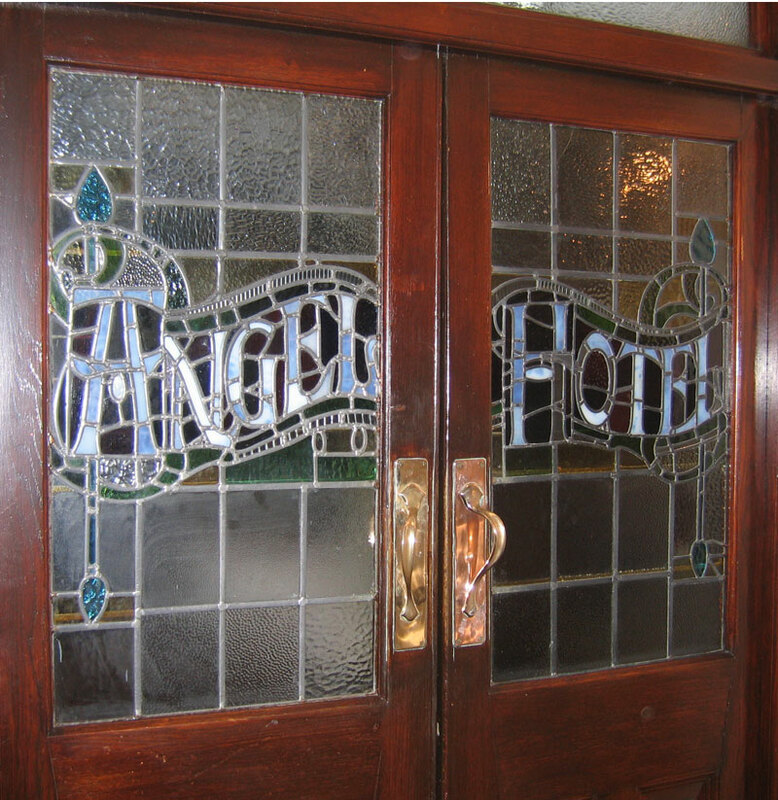 The stain-glass windows at the front of the hotel were added in the 1920s. 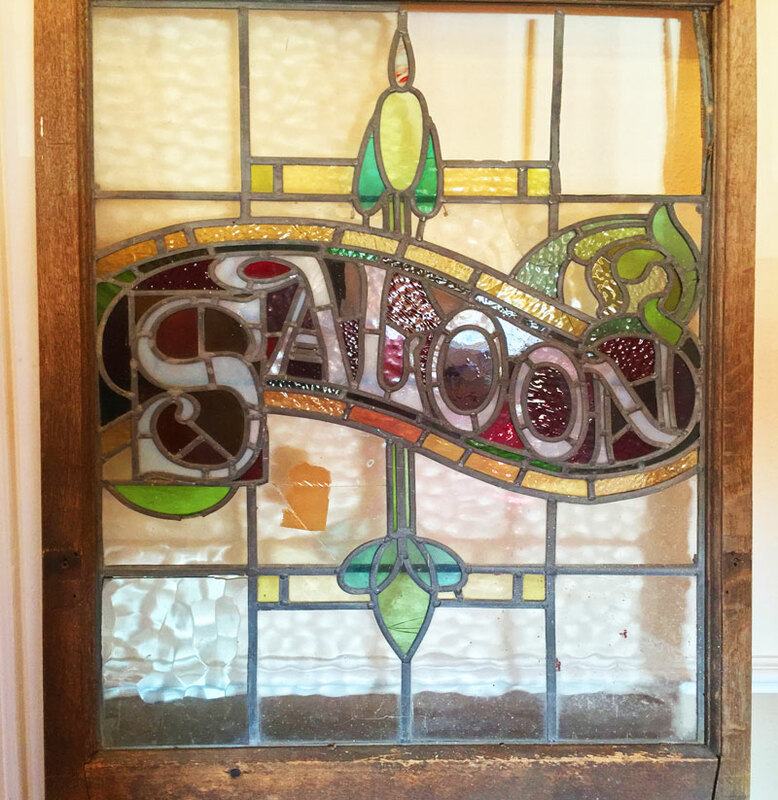 This former entrance to the bar – now on display in the restaurant – is a fine example of stained glass. 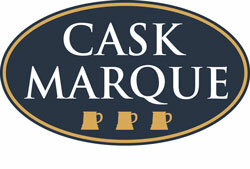 The bar was formerly a 360 degree structure, serving what is now the Cider Room – formerly a gentleman’s bar – as well as the current bar area. There are the remains of a sealed door in the wood of the wall in our bar lounge, opposite the window. This would have led to the cellar’s ‘Grotto’ bar, and a staff office. Our Cider Room previously served as a gentleman’s only room for playing cards. More recently, it was a reception and a staff office, before being brought back into public use in 2016. 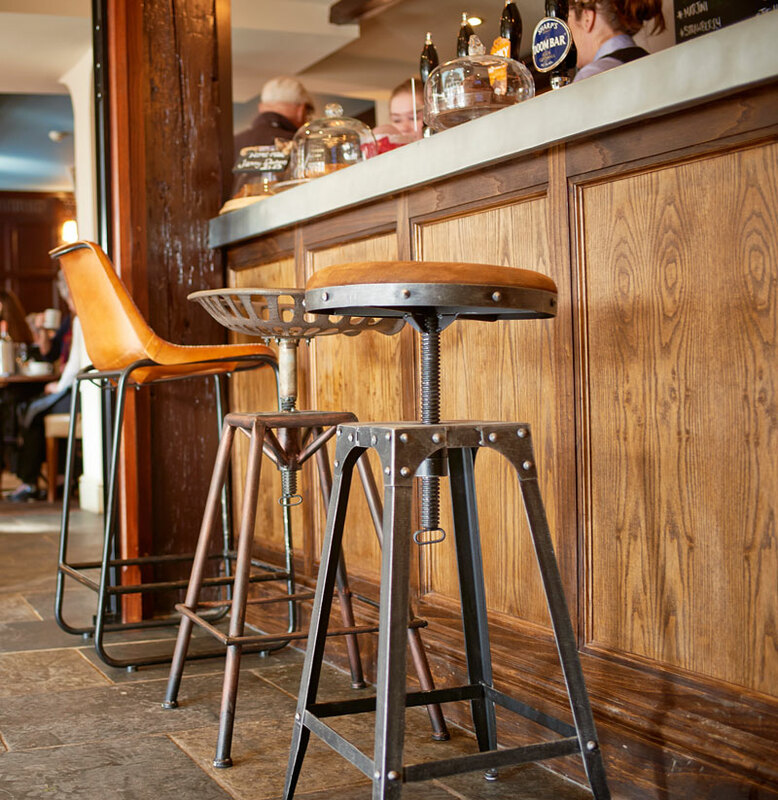 The bar features numerous examples of the ship timbers that would have been used to help build the hotel. The garden has previously included an orchard, a bowling green and a diving board. The strange levelling exists because much of the left-hand side of the garden was used for growing vegetables. We have picked up the legacy of growing our own vegetables grown at our Farm. The site of the former Masonic Lodge, burned down in 1963. 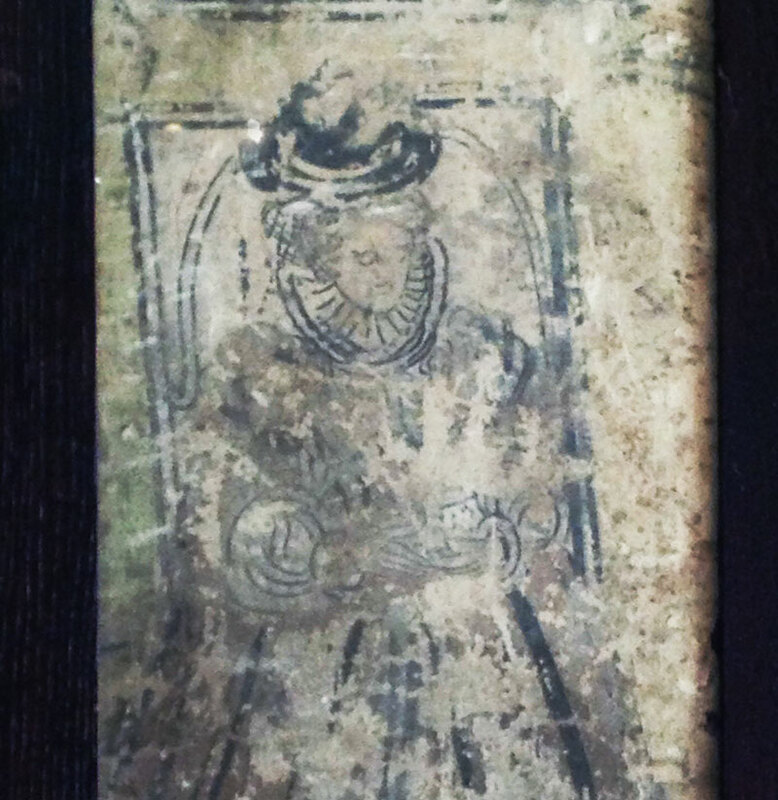 A portrait of Queen Elizabeth I was found hidden in the walls, perhaps evidence of her rumoured stay at the hotel. 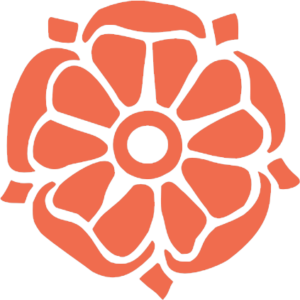 Tudor roses hint at the age of The Angel. Its position on this key road meant Pershore was often visited by travelling monarchs. One of these was Queen Elizabeth I, confirmed when a portrait dating from the 1570s, thought to be of the Virgin Queen, was revealed on a wall when alterations were made in the 1920s. Lost for decades, this has since been recovered and is now on display in a framed cabinet. Reminders of the past structure of The Angel are scattered throughout the building. On the wall of the hotel down the former coach entrance there is a sealed door, which is the former entrance to the off-license known as the Jug & Bottle, where locals would bring their own glassware to be filled. 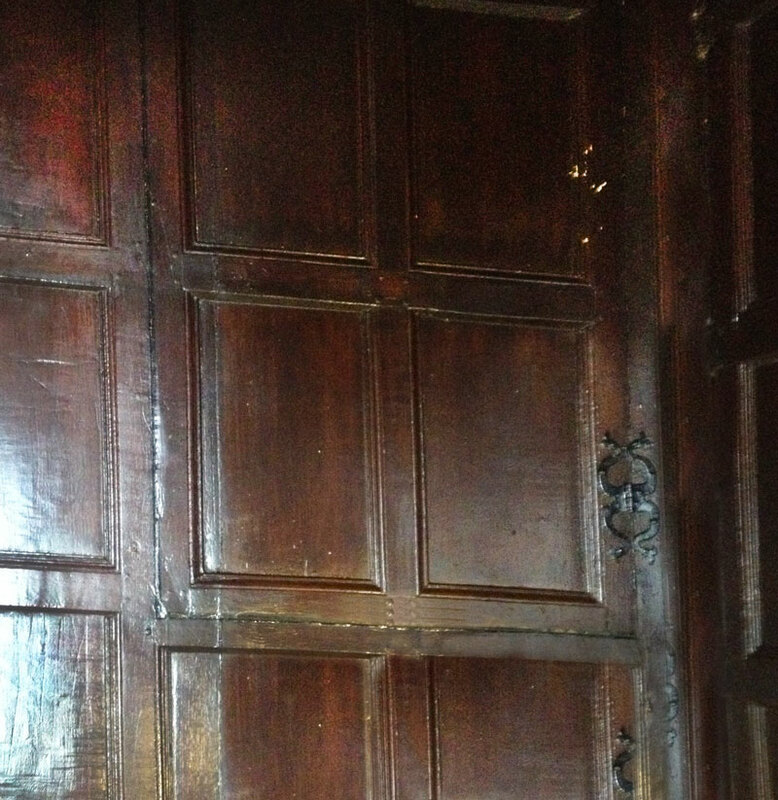 The inside of the door was uncovered during our January 2016 refurbishment, and is visible in the corner of our bar. Our Cider Room used to be a gentleman’s only room for playing cards. This was served by a men’s only bar where the current bar now stands, separated from the rest of the hotel by a barrier and a stain-glass door. The area to the left of the bar, the current lounge, was known as the ‘Saloon’. 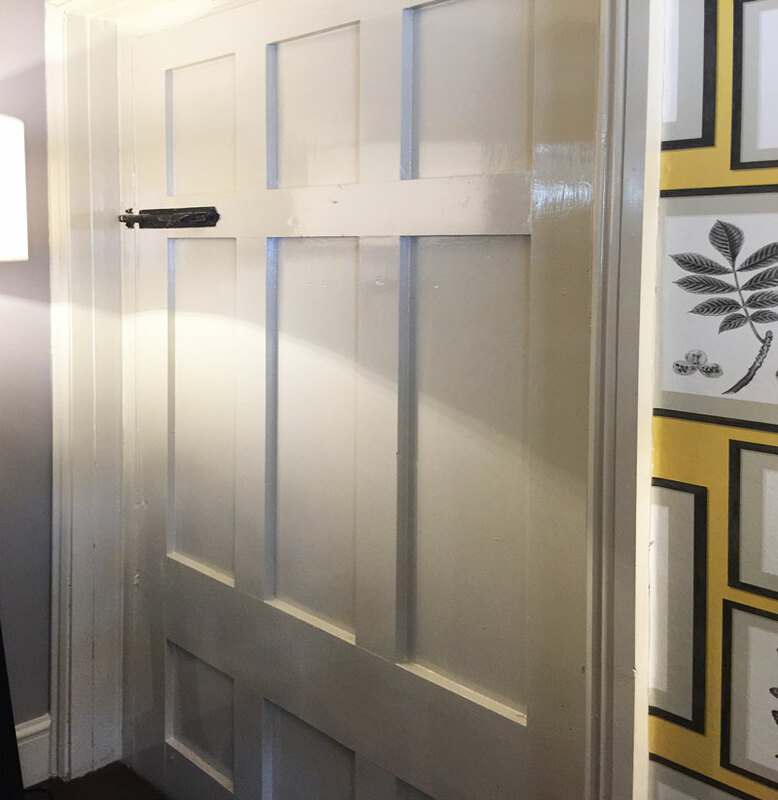 This door has recently been recovered and is on display in our restaurant. There is also what appears to be the remains of another sealed door in the wood of the current wall opposite the front-left window, which led to a bar and office in the cellar. Any steps that would have existed have not been found since. 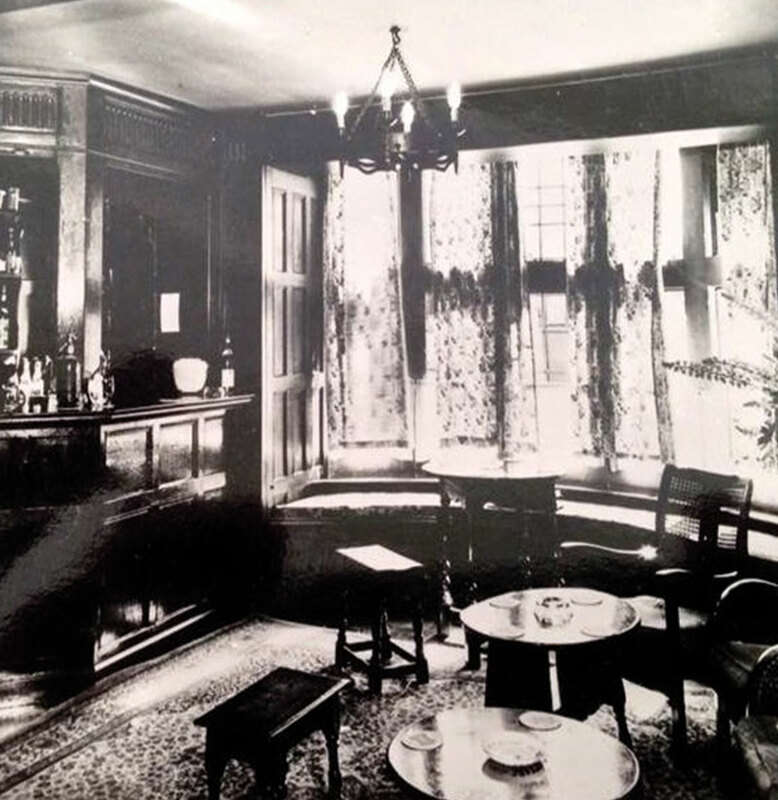 In the 1920s The Angel passed into the ownership of Cheltenham Brewery who commissioned extensive alterations to the property, which would have made The Angel more similar to what it is today. The front entrance dates back to this time. Previously, entrance would only have been possible at the side of the hotel. The front bay windows were also added in 1920. The present restaurant was constructed in 1939 on the site where the coach house and saddle room had been. Some of the original ceiling joists have been retained and repainted. It is likely that the stabling was used for racehorses for the Pershore Racecourse from the 1870s. 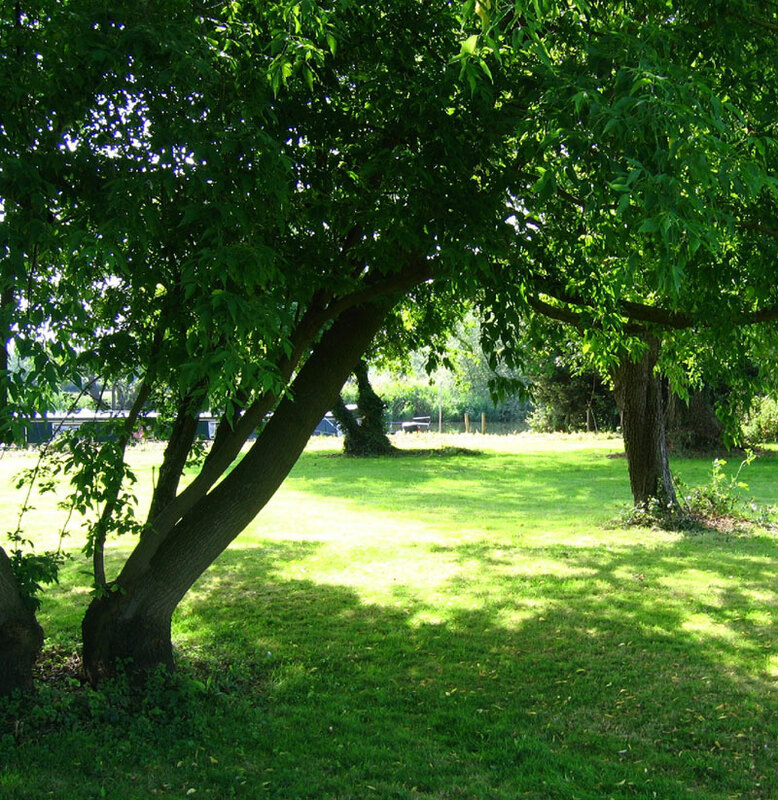 A deed dating back to 1753 describes The Angel as having an orchard and bowling green to the rear of the hotel, with The “Midsummer Meadow” adjoining. There was also a diving board over the river. A small road would have run along the river right through to the old Mill on Bridge Street. An 1849 deed also records “Outbuildings, Stables” and a “Pear Tree Orchard”. A number of the pear trees remain in the garden today. Riverboats could also be hired at the back of the hotel, which may explain the former name of our side road, Quay Street. Vegetables were grown in the gardens until the 1980s. Our produce now comes from our Farm, the Crowther family’s market garden in Hampton, or other local suppliers. At the back of the hotel there was a Masonic Hall, completed in 1912. The local Masonic Lodge held a banquet on the 12th February 1912 in celebration. The Hall also served as a ballroom, hosting dances that one or two customers still remember fondly to this day. The Hall was destroyed in a fire in 1963 and never rebuilt. 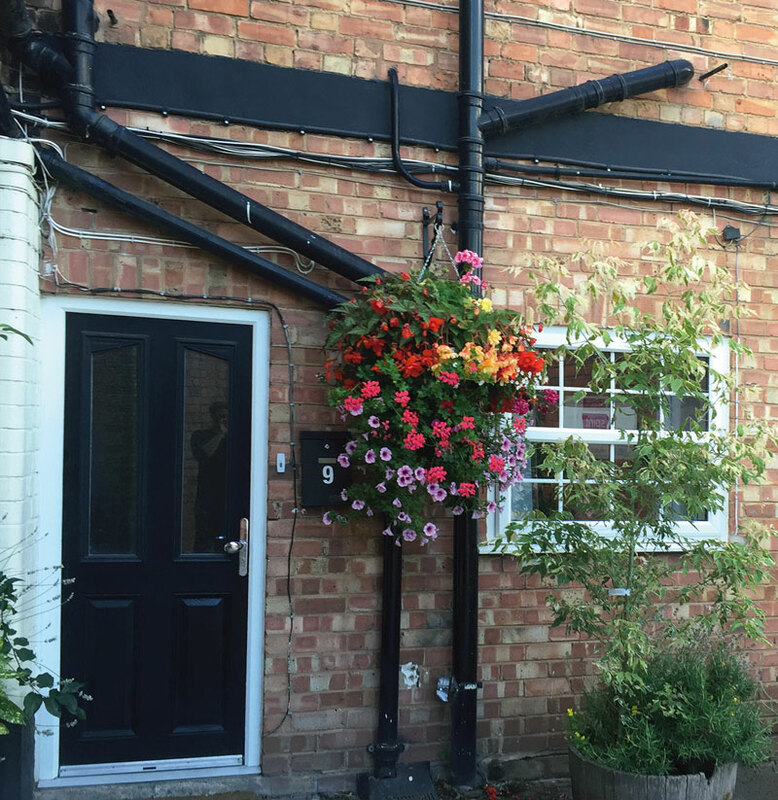 It was replaced by additional bedrooms and a ground-floor flat for staff accommodation. In 2008, the license passed to the current landlord, Spirit Hospitality. The Angel has since seen extensive refurbishment of public areas and guest rooms, as well as the addition of a courtyard garden to replace the former staff car park. Large public events have returned to our gardens in recent years, including Midsummer Brass, Pershore Carnival, and the local Pershore Big Plum Festival, an event revived in 1996 that dates back to the nineteenth century.